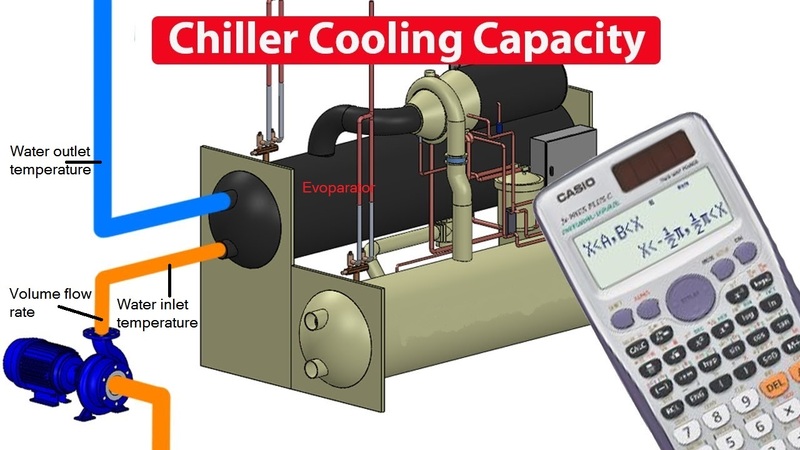 This formula produces the chiller's capacity in British Thermal Units (BTU’s). That scale directly corresponds with the more common unit of "tons" that cooling systems often use. Subtract the temperature of water as its leaves the chiller from the temperature of the water as it enters it. ΔT°F = Incoming Water Temperature (°F) - Required Chilled Water Temperature. The cooling capacity of air conditioners is measured in BTUs, or British thermal units. The more Btu of capacity, the larger the room the air conditioner can cool. Scientifically, ‘one Btu is the amount of energy required to change the temperature of 1 pound of water by 1 degree Fahrenheit’. In terms of air-conditioner capacity, the rule of thumb is that it takes around 25 Btu to cool 1 square foot of room floor area. · Example: 60 gpm x 60 x 8.33 x 12°F = 3,59,856 BTU/hr.